Sunita K Patel, Beth Baumeister Peters, Terece Bell, Julie Verner, Ernest R Katz, Mary N Baron, J Galen Buckwalter. Despite speculation that environmental factors, such as family factors, may influence functional outcomes in children who have received neurotoxic treatments for cancer, there has been minimal research in this area. The importance of parental behaviors in support of their child’s learning and cognitive performance have been well-established across a wide range of populations and ages. To date, no study has investigated these parental behaviors in reference to outcomes in children at risk for cancer-related neurocognitive dysfunction. We hypothesized that parental “pro-learning” behaviors would be positively associated with cognitive outcomes in children diagnosed with cancers involving the Central Nervous system (CNS) or who have had intensive CNS therapy. Relationships between parental behaviors and their child’s cognitive performance (IQ) were evaluated using a revised version of an assessment tool developed to identify the presence and frequency of parenting behaviors that promote learning. A sample of 56 parents of childhood cancer survivors ages 6 through 18 and their children were evaluated. Associations between various clinical and parental factors were examined. ANCOVA results showed significant differences in IQ performance based on level of parent involvement for children older than age 3 years at cancer diagnosis. IQ scores for children with higher levels of parent pro-learning behaviors were approximately 12 points higher compared to lower levels. Child’s age at diagnosis, cranial radiation, and parents’ pro-learning behaviors at home were significant predictors of child FSIQ in a multivariate regression model. Parent socioeconomic status was significantly associated with parents’ belief in their ability to help their child with learning and school success. The present findings provide preliminary support for the hypotheses that envioronmental factors, such as parent involvement, may be associated with functional outcomes in children at risk for cancer-related neurocognitive dysfunction, and highlight the need for more research in this area. 1. Ries LAG, Melbert D, Krapcho M, Stinchcomb DG, Howlader N, Horner MJ, et al.(Eds). SEER Cancer Statistics Review, 1975-2005, National Cancer Institute. Bethesda, MD. 2. Bhatia, S, Landier, W. Evaluating survivors of pediatric cancer., The Cancer Journal, 2005: 11 (4), 340-354. 3. Butler RW, Haser JK. Neurocognitive effects of treatment for childhood cancer. Mental Retardation and Dev Disabilities Res Reviews. 2006:12: 184-191. 4. Spiegler BJ, Kennedy K, Ronnen M, et al. Comparison of long-term neurocognitive outcomes in young children with acute lymphoblastic leukemia treated with cranial radiation or high-dose or very high-dose intravenous methotrexate. J Clin Oncol. 2006:24:3858-3864. 5. Moore BD. Neurocognitive outcomes in survivors of childhood cancer. J Pediatr Psychol. 2005:30:51-63. 6. Moleski M. Neuropsychological, neuroanatomical, and neurophysiological consequences of CNS chemotherapy for acute lymphoblastic leukemia. Arch Clin Neuropsychol. 2000:15(7):603-630. 7. Armstrong GT, Liu Q, Yasui Y, et al. Long-term outcomes among adult survivors of childhood central nervous system malignancies in the Childhood Cancer Survivor Study. J Natl Cancer Inst. 2009: Jul 1:101(13):946-958. 8. Gurney JG, Krull KR, Kadan-Lottick N, et al. Social outcomes in the Childhood Cancer Survivor Study cohort. J Clin Oncol. 2009: May 10:27(14):2390-2395. 9. Butler RW, Copeland DR, Fairclough DL, et al. A multicenter, randomized clinical trial of a cognitive remediation program for childhood survivors of a pediatric malignancy. J of Consult & Clin Psych. 2008:76(3):367-378. 10. Conklin HM, Lawford J, Jasper B, et al. Side effects of methylphenidate in childhood cancer survivors: A randomized placebo-controlled trial. Pediatrics. 2009:124:226-233. 11. Patel SK, Katz ER, Richardson R, Rimmer M, Kilian S. Cognitive and problem solving training in children with cancer: a pilot project. J Pediatr Hematol Oncol. 2009:9:670-677. 12. Taylor H, Yeates K, Wade S, Drotar D, Stancin T, Minich, N. A prospective study of short- and long-term outcomes after traumatic brain injury in children: Behavior and Achievement. Neuropsych, 2002:16:15-27. 13. Yeates K, Taylor H, Drotar D, Wade S, Klein S, Stancin T, et al. Preinjury family environment as a determinant of recovery from traumatic brain injuries in school-age children. J of In't Neuropsych Society. 1997:3:617-630. 14. Taylor HG, Yeates KO, Wade SL, Drotar D, Klein SK, Stancin T. Influences on first-year recovery from traumatic brain injury in children. Neuropsychology. 1999:Jan:13(1):76-89. 15. Hoover-Dempsey KV, Battiato AC, Walker JM, Reed RP, DeJong, JM, Jones KP. Parental Involvement in Homework, Educational Psychologist, 2001; 36(3), 195-209. 16. Hill NE, Tyson DF. Parental involvement in middle school: a meta-analytic assessment of the strategies that promote achievement. Dev Psychol. 2009 May: 45(3):740-63. 17. Hill, NE., Taylor, L.C. Parental School Involvement and Children's academic achievement. Current Directions in Psychological Science, 2004; 13 (4), 161-164. 18. Epstein JL. Longitudinal effects of family-school-person interactions on student outcomes. In A. Kirchoff (ed. ), Research in sociology of education and socialization (vol. 4), Greenwich, CT: JAI. 1983. 19. Grolnick WS, Slowiaczek ML. Parents' involvement in children's schooling: A multidimensional conceptualization and motivational model. Child Dev. 1994:65:237-252. 20. Miedel WT, Reynolds AJ. Parent involvement in early intervention for disadvantaged children: does it matter? J School Psych. 1999:37(4):379-402. 21. Bradley RH, Caldwell BM, Rock SL. Home environmental and school performance; a ten-year follow-up and examination of three models of environmental action. Child Dev. 1988:59:852-867. 22. Van Voorhis F. Interactive homework in middle school: effects on family involvement and science achievement. J of Educ Res. 2003:96:323-338. 23. Switzer LS. Family factors associated with academic progress for children with learning disabilities. Elem. School Guid/Counsel. 1990:24(3):200-206. 24. Grolnick WS, Benjet C, Kurowski CO, Apostoleris NH. Predictors of parent involvement in children's schooling, J of Educ Psych. 1997: 89(3):538-548. 25. Hoover-Dempsey KV, Bassler OC, Brissie JS. Explorations in parent-school relations. J of Educ Res. 1992: 85(5):287-294. 26. Hollingshead AB. Two Factor Index of Social Position. New Haven, Conn: Yale University Press; 1965. 27. Wechsler, D. Manual for the Wechsler Abbreviated Scale of Intelligence. New York, NY: Psychological Corporation. 1999. 28. Sattler, J. M. Assessment of Children: Cognitive Application. San Diego, CA: Jerome M. Sattler, Publisher, Inc. 2001. 29. Keith TZ, Reimers TM, Fehrmann FG, Pottebaum SM, Aubey LW. Parental involvement, homework, and TV time: Direct and indirect effects on high school achievement. J of Educ Psych. 1986:78:373-380. 30. Verner, JA. Measures of Parent Involvement Behaviors at Home and in School. MA thesis. School of Psychology at Fuller Theological Seminary, 2005. 32. National Center for Education Statistics. The relationship of parental involvement to high school grades, Washington, DC. US Department of Education (NCES 85-205b). 1985, March. 33. 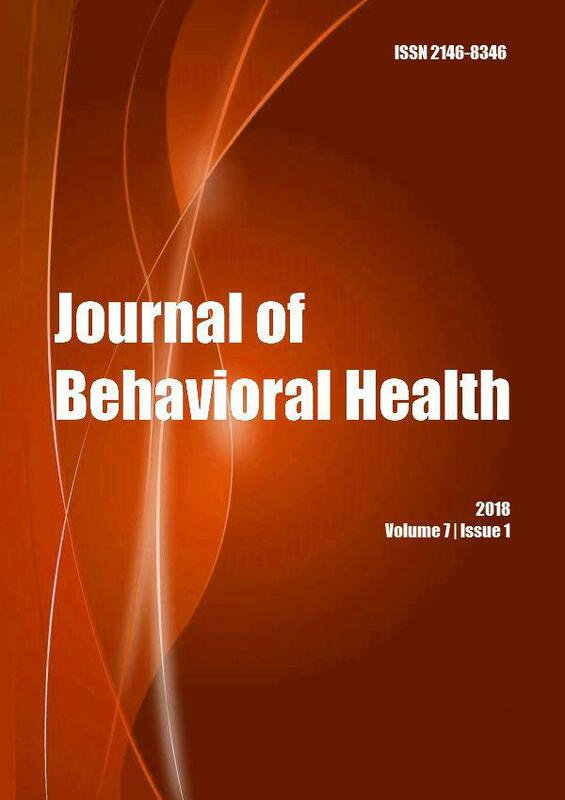 Cuevas, M., Bell, T., Noviello, N., Ross, P., & Patel, S. Parent beliefs, efficacy, behaviors and cognitive functioning in pediatric cancer survivors. Clinical Neuropsychologist, 2010; 24(5), 931(abstract). 35. Cuevas, M., Bell, T., Noviello, N., & Patel, S.K (in preparation). A validation study of a parent involvement measure for the learning and behavioral skills of childhood cancer survivors. 36. Patel, S. Parent-directed Intervention for Childhood Cancer Survivors with Neurobehavioral dysfunction, Paper presented at the Biennial NCI/ACS/CDC Cancer Survivorship Research Conference, Washington, DC. 2010, June 17. Pediatric Psychosocial Oncology: Textbook for Multidisciplinary Care 2016; (): 157-174. Pediatric Psychosocial Oncology: Textbook for Multidisciplinary Care 2016; (): 175-198. Journal of Cancer Education 2014; (): . Journal of Pediatric Psychology 2014; (): .